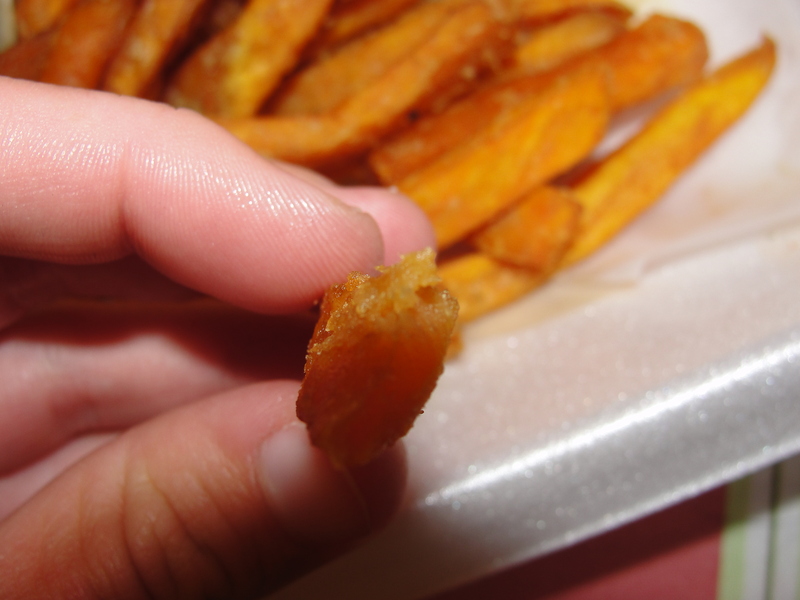 I really don’t understand why more restaurants don’t serve Sweet Potato Fries. I mean, even if they wanted to up charge for them, they should at least offer them. I am over the options of regular fries, rice pilaf, coleslaw and baked potatoes. Bring on the sweet potato fries! There is just something about sweet potato fries that make them amazing. Maybe it is the orange color or perhaps the sweet, soft insides. Or, maybe it is the fact that they are like a mystical creature that you can only see every 29th day of February. Whatever it may be, sweet potato fries are fantastic. Any time I visit a restaurant that offers sweet potato fries, it is basically a guarantee that I will order them. I don’t buy sweet potato fries to make at home all too often but that is really just because I love them so much. Rather than purchase them and gorge myself on an entire bag, I opt just to order these mystical creatures when they are presented to me on a menu. My most recent run in was via Miller’s Ale House. I believe these were added to the menu a few months back, but, Saturday night was my first time trying them. As much as I like Ale House, they always manage to mess something up with their takeout orders. So, it was no surprise to me at all when I arrived home to find that rather than giving me an entire side order of sweet potato fries in addition to my rice & beans (as I specified), they subbed out one for the other. Okay, whatever. I should have known that asking 3 times for a side order of sweet potato fries in addition to the rice & beans really meant subbing one for the other. At first look, these sweet potato fries looked like winners. They were all good in size and none seemed to be too thick or too thin. They also smelt great. These were served with a cinnamon-butter which I did not have. I like my sweet potato fries just plain. If done right, they produce all of the flavor you could even need, want & desire. Ale House produced sweet potato fries that were right at the middle line marker. Most of the fries were cooked up to the perfect level which provided just a slight exterior crispiness and a sweet, soft inside. I found that most of the fries hit both of these markers and the overall flavor was perfect. 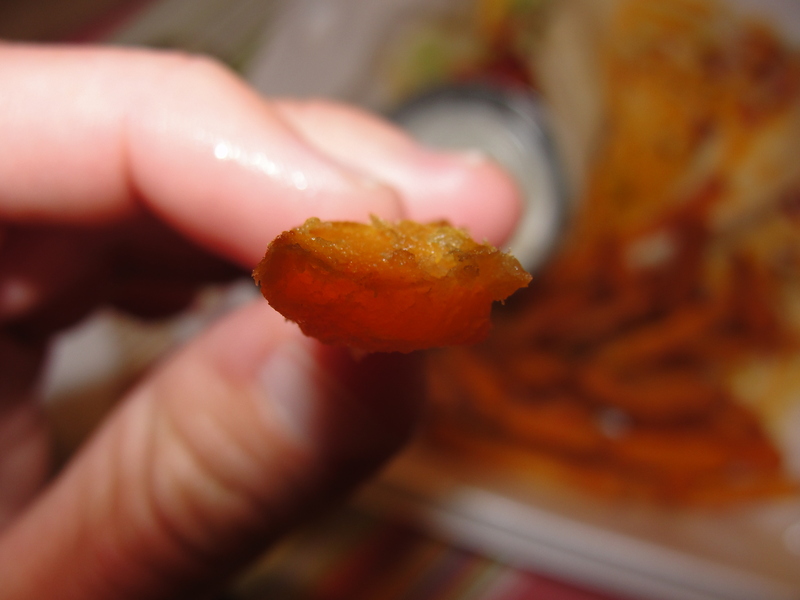 You could taste the sweet potato in each fry however, not to the point where it was overbearing. I did find that some of the fries were a little too soft inside which produced a much more starchy taste and flavor. It was almost like some of them had chopped sweet potatoes inside. The end taste of these particular fries was not good at all. It wasn’t the fact that the sweet potato taste was overbearing – it was the fact that I felt like I was eating fries with the interior consistency of thick baby food. The thought of baby food alone makes me want to throw up so feeling as if the interior of these fries was baby food-like, was enough to put me over the edge. I’m not sure why most of the fries were cooked up perfect and some were not. Even the fries with the baby food-like interiors, had a nice & crispy exterior. If all of the fries would have been the same – the good ones that is – then, these fries would have been true winners. The fact that there was such inconsistency brings them down from the pedestal back to the average ground. In the fries that were good, the taste was spot on. Each fry had plenty of flavor all on its own and simply melted in my mouth. I am glad that I finally tried the sweet potato fries at Ale House and will certainly give them another shot. Perhaps ordering the fries in restaurant rather than takeout, will help each and every fry be just as good as the next one. 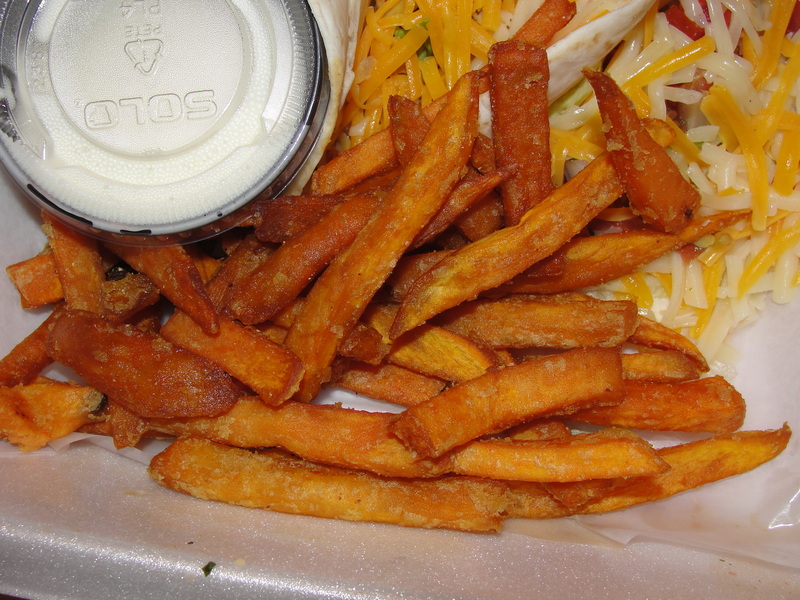 Sweet Potato Fries should gain a spot in the normal side item rotation at all restaurants. They simply are so basic & divine in taste. Until all other restaurants catch on to this fact, Sweet Potato Fries will hold their spot in my heart as my favorite Mystical Creature.